In this, the week of the 199th anniversary of the Battle of Waterloo, we find ourselves once more meeting members of the extended Bonaparte family. 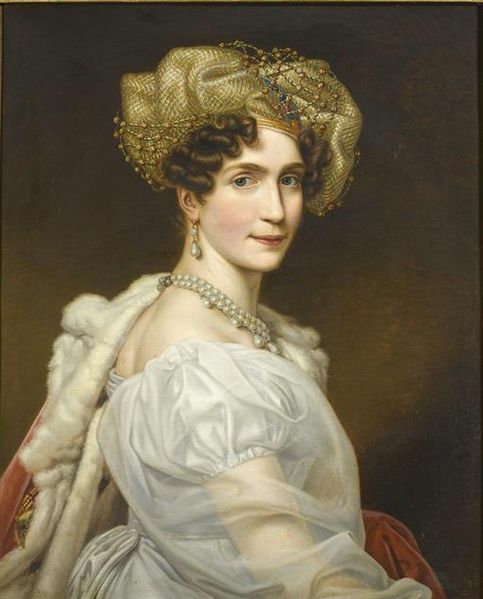 We have previously made the acquaintance of the Emperor's stepson, Eugène de Beauharnais, and today seemed like a nice moment to meet Eugène's wife, Princess Augusta of Bavaria. Augusta was born to Maximilian I Joseph of Bavaria and Augusta Wilhelmine of Hesse-Darmstadt. She lost her mother when she was just eight years old and though Maximilian married Princess Caroline of Baden, it took some years for the young Augusta to get used to her stepmother. From the start, it was intended that she would make a good dynastic match. Initially the young woman was promised to Charles, heir to the Grand Dukedom of Baden and brother of her stepmother. However, Napoleon had other ideas and prevailed upon Maximilian to offer his daughter as a bride for Eugène. 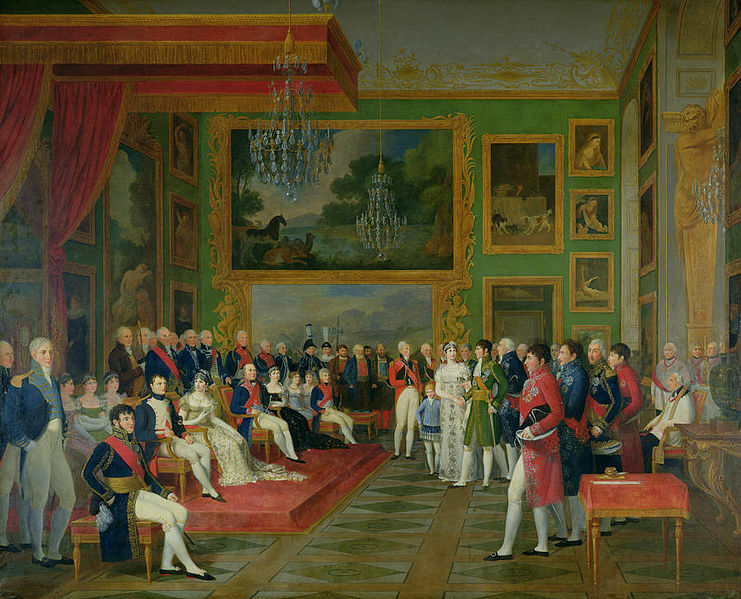 Although Augusta and Charles were very fond of one another, Maximilian eventually capitulated and on 14th January 1806, Munich saw the lavish wedding ceremony that joined Augusta and Eugène. The young bride was distraught at the loss of the man she had come to adore but agreed to the wedding as a matter of national duty, recognising the importance to her father and the territories that would become his. Despite its political beginnings, it is my pleasure to say that the marriage was, in fact, a happy one. They fell in love almost immediately and eventually had seven children, six of whom survived childhood. The joyful marriage was ended only by the death of Eugène in 1824. Throughout his final illness, he was nursed by his devoted wife, who was at his side when he passed away. Augusta never fully recovered from the loss of her husband and retired into a quiet life. For two decades she devoted herself to philanthropy and faith before, finally, she too passed away. In true romantic fiction style, a marriage of convenience that turned into a love match. It's so nice to feature a happy dynastic marriage! Lovely story. Thank you for sharing with us. It's nice to have the occasional tale of a happy marriage! It's so nice to read about a woman who found happiness in a dynastic marriage! It's a romantic trope, but it's a "romance" for a reason - it wasn't very often reality. Thanks for sharing this - it brightened my whole day! A rare happy ending; my pleasure!